Nor’easter: Being a Whirlwind Snowy Trip to Pennsylvania, New Jersey and New York City or How Van Gogh and a Herd of Alpacas helped Lee get her Groove Back. Second day: Morning. Goodbye Monks, Hello Dalai. We rise a bit before seven and the first thing I do is look out the window to see the cars, pavement, roofs, covered in snow. I noticed, last night, the car had an ice scraper in the trunk. We may well use it soon. We shower and pick out the day’s dress. Long johns for Lee under a shirt. Special thin long johns under her dungarees. For me, a long sleeve charcoal long john shirt with buttons, looks like a jersey, and generic long johns under my dungarees. Each of us has a leather jacket. We wanted our longer coats but there is only so much we could take on a plane. Slowly, surely, car travel seems much more the luxury than travel by plane. The luxury of time. The luxury of space. We dress, all the while marveling, as we do when we travel, at the TV. Not so much the TV, of course, but the regional differences that can still be found in the programming. Different accents, different emphasis on different stories, more of one type of commercial than another. Local flavor can still be seen, though it is often subtle. Of course, one of the big differences is not just due to the area but the area at this time of year. The weather reports suggest several inches of snow. There are ski commercials, farm commercials and commercials for various animal-related fairs as well. No idleness during the winter months. We eat breakfast. Apples. Bananas. We know Rachel will be here at eight and we don’t want to be late. Today, we are hers for wherever she wishes us to be. And the first place to be is outside at eight. And so we are. Gloved. Scarved. Hatted. I have leather gloves, a newsboy hat with a brim just big enough to keep the bright sun out of my eyes and a cashmere scarf I never get a chance to wear. Lee has gloves we just purchased for her, Thinsulate within, leather without, and a stocking cap. I tried to find her better gear, and find I did. But the interest was lacking. At least I managed to get her into a pair of hiking boots. Standing in the lobby of the Eastonian, we see a car pull up. It parks, driver window open. It’s Rachel. Window open. Open. This is not starting out well. Out we go to meet her. Her window is broken and will not roll up. Ok, we could have met her at her house. No problem. She tells us she’s used to it. She is dressed in a T-shirt and sweat shirt. Last report was it was 22 degrees. Lee tries to give her another sweat shirt for under it but, no thanks. Rachel says she is fine. Neither one of us believes her. We walk over to our car. It is covered with a fine powdery snow. I open a door and nearly all of the powder falls to the pavement. We get in, Rachel pulling up the seat to sit in the back, and closing the driver’s door, shakes the remaining powder from the front and back windows. Lee does not want to drive but can’t sit in the back. She never can for more than a very short distance. Rachel is sure she can direct us from the back seat. Off we go. Where to turn? What is that? What does that mean? A new town and I am a kid – curious and fascinated. The first stop is actually in New Jersey – The Tibetan Buddhist Learning Center in Howell, Washington County. It should be but a half hour away. It is listed as a monastery and welcomes visitors. According to the website, it is the home away from home, at least in the Northeast, of the Dalai Lama and it is where he does the bulk of his teaching in the US. There is a stupa there I have wanted to see and this snowy day is my opportunity. But first, we must go through downtown Easton. This won’t take long and I drive slowly, even considering there is ice on the road. The buildings seem odd and it is a few moments before I realize it is simply because they are old. Old. Not in ill-repair. Not at all. But not modern. They have character and a scale more human than I have often seen. We drive by Lafayette College and it is quite a sight. Beautiful, up on a hill in the center of downtown surrounded by trees that must provide needed and appreciated shade in the summer. At the very center of the downtown area, as per design and practicality, by the grace of fortuitous geography, on one side of the town square, where the Bushkill flows, is the old Crayola factory. Long moved to the outside of town and having significantly cleaned up its act, folks here used to be able to tell what color crayon was being made that day by the color of the Bushkill. Now the old factory building is called Two Rivers Landing. The Crayola Factory, a museum and activity center based on the much-loved company and product, takes up the bottom two floors. On the top floor of the three story building is the National Canals Museum. The Northeast has the bulk of the navigable waterways in North America. Not the biggest rivers, perhaps, but the most, often the deepest, and easiest to get a ship down. Or, if not a ship, a boat or barge. Goods moved from place to place by water more than most people think. And, when there was no river, a canal could be built. The best known of these is the Erie Canal in New York, but there are many important canals and many still in use. This area long depended on the Lehigh, Delaware, and Morris Canals and the Lehigh and Delaware Canals meet right here in Easton. The Bushkill behind us, two canals within walking distance and the Delaware River but a mile away. It is the Delaware we are headed toward now. On the way I notice there appear to be many more chiropractors’ offices and tattoo parlors than most places I have been. Any place I have been, actually. Often next to each other. Getting a tattoo must be more rough than I thought. As we come over a hill, in sight are the Delaware and two bridges less than three blocks from each other. Also in sight, over the Delaware, is Phillipsburg, New Jersey. Rachel has me take the closest bridge, called the old bridge. “Is that its name?” No. I had asked about that the night before as well when first seeing the two bridges. The old bridge to Phillipsburg and the new bridge to Phillipsburg. No one I asked, and I asked quite a few at Tick Tock, knew the name of the other bridge or why there was a new one. And the new bridge cost seventy-five cents to cross leaving people to routinely shun it for the old bridge which crosses the Delaware just as well as the new one. How can no one know the names of these bridges? There is really the excellent reason for this. The names are horrid. Not exactly names to trip off the tongue or lodge in one’s memory. The old bridge is The Easton-Phillipsburg Toll Bridge and is part of US 22. It does have a toll, it turns out, but only coming into Pennsylvania from New Jersey. The other bridge is The Northampton Street Toll Supported Bridge and it has tolls both directions. It should be noted the new bridge was damaged by Hurricane Diane in 1955 and later repaired so even the new bridge is not exactly new. Still, it is easy to see why the spans are called the New Bridge and Old Bridge. Just before we get to the bridge there is a steep bank to the south and then to the east again with a rough rock wall to the south as the road circles around Lafayette College and cuts through the solid rock which rises on the sides of us as we sink to river-level. Roads cut through the land are common in this part of the country. They are called roadcuts, as a matter of fact, and are often studied by geologists, who let the roads folk do the work and then come in to study the strata uncovered and material left over. You can even find them in cities such as this one in Easton and right in the middle of Philadelphia. It is not strange at all to see rock walls on either side of the road, and amazingly close stones jutting out as though one sneeze at the wrong moment, one twitch of the hand, will leave a driver without a passenger-side mirror or a passenger side all together. The rock wall, as we approach the bridge, drops suddenly just as the road curves, just when you think you might hit the jagged granite and slate, there is nothing but drop. Nothing but air and treetops as the land falls away. “That’s called Cemetery Curve,” Rachel tells us. To my surprise, the answer is yes. There is a cemetery at the bottom of Cemetery Curve. I’m thinking we might not make it to New Jersey. Finally, over the bridge, the geography changes instantly as the geology does. Granite and slate becomes dolomite and pegmatite, pinkish in color, and there is less roll to the hills, fewer rocks cropping up. The buildings, as well, are more composed of wood, more clapboard than stone. That we are in a different place is apparent. We continue to head out on US 22 though Phillipsburg to Howell. Among the bedding stores, the auto repairs, hardware stores, marts, offices, shops and restaurants, we pass a foodstand, an old gas station by the looks, white, wood. This is the sort of place one stands outside of and orders while the people inside make the food. The kind of place people congregate round during fair weather. This is not fair weather but I am no less intrigued by Toby’s Cup. The cup in Toby’s Cup is not for soup or coffee. The cup is a bun and this is a hot dog stand. Not a bun in the sense most people think of one. It is a steamed bun without opening at either end, forming a long cup, a trough, for the hot dog and a slice of pickle, sauerkraut, onions and various other condiments to be loaded into. The hot dog is not broiled, not boiled, not baked or steamed – it is deep fried in peanut oil until it screams and splits. A Splitter it’s called, not surprisingly. I saw this on Anthony Bourdain’s No Reservations special show on New Jersey and decided, if I found one, I’d try it for sure. Once. Just once. I would stop for one now, regardless of the early hour, if Toby’s was just open. Once. Just once. As we drive, Rachel points to the north at a gap, a wedge cut in the mountains. Wind Gap. Wind Gap is where the Delaware used to flow, she tells us, dividing the mountains for millions of years millions of years ago until acted upon in a manner so startling and violent, the flow shifted miles away to the present location, now called Water Gap for clear enough reason. But this is not correct, alas. This is an area where the North American and African continental plates meet. Many streams once flowed from the north to the south through this area. One by one, the streams eroded wider and wider beds through the soft lime leaving the harder rock, sandstones and conglomerates, much less eroded and formed these old, now rolling, mountains, part of the ancient, even by mountain standards, Appalachian chain. The widening creeks and rivers, one by one, found the crack, the cleft that divided the plates, and the rivers were “captured.” Over time, more and more rivers joined them, eroded the crack to a bed to a cleft to a gap. As it is now, Water Gap is a mile wide from New Jersey’s Mount Tammany at 1,527 feet to Pennsylvania’s Mount Minsi at 1,463 feet. The Gap is about 1,200 feet deep from the tops of these mountains to the surface of the Delaware which, itself, is, at this point, 290 feet above sea level and fifty five feet deep. And Wind Gap was and is for wind. After a while we come to the monastery road – a sharp, sudden left turn on a snowy steep hill, and pass it hearing “there it was” from Rachel. Another quarter mile and we find a safe place to turn around and slowly make the right onto the road, winding up and up, my wife wincing at the drops and occasional small skids, past farms and stables and homes and then, on the left, Tibetan prayer flags. We turn in. There are two buildings. One looks like a large home, in the back of the property. Perhaps in the back. There may be more land, much more land, behind it but I cannot tell. To the right is a large hall. At least it looks to be a single large open room, with a wrap-around porch atop stairs atop a hill. But this is all dwarfed by the stupa, high, round and white in the middle of the icy field. It is the first thing we see as we enter the gate and it dominates the scene. We park in front of the hall in the gravel spot large enough for only half dozen cars. It takes us a few moments to gather our warm things and, in the meantime, Lee notices, out loud, this place appears to be empty. We leave the car and carefully walk to the one hundred foot or so gravel path to the hall steps. In the distance, the door to the distant house opens, closes loudly echoed on the ice and down the stairs, across the field, a short, many-layered lady approaches, calling to us. She introduced herself as Diana Cutler. Later I would find her to be one of the first American students of the center and the one to whom administrative duties were passed when the monks, when the monastery, moved to New Brunswick and the Center, called Labsum Shedrub Ling – simply, The Learning Center, was gifted to the Dalai Lama. In thick sweater and coat, jeans and hiking boots, Diana has crampons under her soles. “We don’t get visitors here in the winter.” She can’t say that anymore. She worries about us falling on the icy gravel and asks us to walk on the side where it meets with the dead grass. There are no monks here, she tells us. And she is headed into town to see her acupuncturist. But she has a little time and we can see the study hall and learning center. We walk carefully where she instructs us and hold the railing up the wooden stairs. The double colonial doors are not locked and she bids us leave our shoes outside and we enter. Fifty by thirty feet, I am guessing. Doors to the left and the right. Meditation cushions stacked against the wall through which we just passed. In front of us, a large alter spans the center half of the wall we are facing. Next to it, on the left and the right, from altar to wall, are bookcases. It is cold in here. There is no heat. There is no provision for heat. The altar has flowers, statues, candles, pictures, iconography, tankas, incense stacked in tall cans, all in a profusion of color and texture and the closer we get the more interesting, the more fascinating, the more diverse and complex it becomes. There are tiny household statues of stone and pewter. Small necklaces and strands of malas sent to spend time on the altar. Coins cover much of the surfaces that, from further away, seem empty. Much of the color and texture comes from cans of food, boxes of cookies, toiletries. Much of the altar is composed of mundane household items and, along with the statues and candles, it all fits, it is all beautiful and serene and holy. The canned peas are holy. The toilet paper is holy. The toothpaste is holy. The cookies are holy cookies. The razors holy razors. Sacred are the Ritz crackers. Sacred is the cheese. Holy is the mundane. We back up again and it all blends and all is holy. I sink to my knees, prostrate, allow my forehead to touch the floor once, twice, thrice. I walk up, take incense, light it. Offer it. I leave a few dollars in a box. I fold myself again, to the floor, on my knees and sit. I am quiet. Lee asks Diane where the monks have gone. Gone they are and gone they have been for quite some time. Once it was home to Tibetan Monks and Mongolian monks in a culture that was mixed so both would feel at home. Then Americans started to enter as well. Americans like Diane and her husband Joshua. Now everyone is gone but them. Gone. Gone by death. Gone by attrition. New monks heading to the cities to be engaged in the compassionate work of the world, easing suffering with hands as well as hearts, to work as well as meditate. Only Joshua and Diane Cutler remain. And, in 1984, the Dalai Lama asked the monastery in Howell, NJ to change the name to The Tibetan Buddhist Learning Center. Now, this is where the lessons are taught when the Dalai Lama is in the NE United States. But not in the winter. In the winter, it rests. And so do the texts. They rest. The massive shelves hold them. A full third of the wall is covered by them with half one side of the altar and half on the other. These texts are bound in cloth and are just under a foot long, three inches wide and about an inch thick for the smaller ones to four inches for the heftier tombs. Each has a flap on one end of a specific color. It’s the color that tells the reader the language from which the text is derived, and the further information on the flap tells the title and contents. One holds them or, more traditionally, places them on a small slanted stand, with the long axis from hand to hand, and flips the pages up. Tibetan is read from left to right. These are the books Richard Gere has been spending so much on translating and digitizing. These and others like them from other collections are being saved and translated, made available and read more widely than ever. Perhaps not better understood, but certainly read. And there are hundreds here, at least. They are stacked long-axis-in on the shelves, which are arranged, further, into cubbies. Six to twenty-four books, stacked three to six high, are in each cubby and there are four to seven cubbies per shelf on seven shelves set atop a set of cabinets and reaching within a foot of the ceiling. They are organized by color. These are the sutras and commentary. On the bookcase to the left are the sutras, all one hundred and eight, in red. Above them, to the top of the case are the Indian commentaries in blue. Those continue to the next bookcase and, then, above those are the books in yellow – the Tibetan commentary on the Indian commentary. I start again, on the left side of the front doors, spinning each, walking, allowing my hand to contact the bottom of each, spinning it as I walk, the next, the next. I turn the corner and continue and I can hear the wheels turn, behind me they slow, the next one start, several turning at once. Each one spinning a prayer again and again and again. Coins are left here and there and I dig into my pocket with my left hand and leave a quarter at the next corner before I turn, not missing a beat. The back of the building, wheel after wheel and another coin to leave at the corner before I turn and the other side of the hall and another coin and then the last half side and the door again. Lee is smiling. She knows I have long wanted to do this. And smiling, we walk down the stairs, carefully, on our non-spiked hiking shoes. Rachel in her sneakers. Diane walks confidently, we, slow and haltingly, carefully, where the iced grass meets the gravel. We thank her and Rachel and Lee go to the car. The stupa sits large and imposing in the field. Not the tallest in North America. Not the widest or most ornate, but it is the one I am at. There is too much ice to go there but I do regardless, slowly, carefully, crunching and balancing the two hundred or so feet into the field. This stupa was dedicated in 1984 to the founder of Labsum Shedrub Ling, Venerable Geshe Wangyal (1901-1983). And I stand at its base for a short time knowing those behind me are cold. So I turn around and tread to the car. Once in, we head back the way we came, down and around the mountain, slowly on the icy road, to the main road back to Easton. Tony’s Cup is still closed. Over the Delaware, Rachel gives us directions to her house. Her mother wants to take us to see the sights of Jim Thorpe and some surrounding areas. Not having any idea what she is talking about, we happily give in to a new adventure seeing things we’d never heard of. She has a minivan and will drive. An easy day for us. Arriving at her house, the garage door is open. Dogs are barking and can be heard all over the quiet, snow-covered neighbourhood. We enter the house to wait for her mom who has taken a half day off work. It is loud with five barking dogs that never cease. It is musty with animal, fur, aroma of cage. Lee exits and waits outside in the cold. She enters again asking for paper. The answering service called with a new appointment for a new client. We had put off getting an answering service because of the expense. This trip made it a necessity and, searching the Internet, found a local one in Melbourne. The cost is sixty dollars a month. Much less than we had anticipated and added one more example of our not taking advantage of something because of our assumption it would be expensive. Before the day of vacation was out, we’d have three new patients. All while enjoying the Poconos. One day and the service paid for itself nine times over. So much for saving money. Mom arrives. After a few minutes of hellos and explaining why Lee could not stay in the house, after making sure Rachel was dressed more warmly, we are all into her van and off to see Jim Thorpe. The road is leading up and up while the snow begins to fall. First day: Night. Eat in or Pass out. After a finger-numbing walk around the car, making checkmarks where indicated, promising to bring the car back with the same amount of fuel it has now—just over three-eights of a tank and why on Earth don’t they just fill the tanks and then ask you to bring them back full—we settle into the car with a plunk as we allow gravity to seat us. Low car. Too low. We get direction to Easton, but fifteen minutes away according to the girl at the car rental. We ask where to eat, as it is getting late, but she has the suggestions one might imagine for around an airport and not one fast-food joint was more appealing, or less appalling, than any other. She is sure we’ll fare better in Easton. It is an easy drive. And, as we drive, it begins to snow. Lightly. Lightly. East to nearly the New Jersey border. The roads are good and we make amazing time even in the snow. At nearly eighty miles per hour we are being passed by cars whose inhabitants must be getting younger as they drive, whose speech, if only I could hear it, would sound slower to my ears, whose color shifted strongly to the red. People driving so fast they will have to reset their timepieces ahead when they get to their destination to match local time. Lee is speaking to Rachel on the phone. Where to stay? If not for her two cats, five dogs, and various other animals, we could stay with her and her Mom. The Estonian is the suggestion. She gives us directions. We follow them and become, after getting off at the correct exit, lost. Instantly lost. While the next day we would see how easy it, in reality, was, in the snowy dark, it is anything but. Finally, after asking several people in parking lots, we are directed to The Estonian Suites. Suddenly, as we pull in, I understand and then, just as suddenly, no longer understand the hotel’s name. The folks here pronounce it East-onian. And, indeed, it is named for the city and is but a few blocks from Lafayette College. But it is spelled as though it is named for the country, Estonia. And, apparent only as we pull up, it is a Holiday Inn Express. Within, it is empty save two people behind the desk. Past this person is a large reception area followed by a larger comfortable lounge. There is also a computer area with Internet and I make note in case I cannot find such in the room. The price is more than I am comfortable with, though, in truth, that is not hard to accomplish, but less than most places we have stayed. It occurs to me, I have never seen a hotel lobby this empty. So empty, the idea comes to mind that I could easily break out into a Robot Dance right here and no one would notice. No one but Lee, it would seem, who apparently hears the thought and steps lightly on my foot adding just enough inertia to keep me where I am. I think of a waltz instead. She steps slightly harder. Classes started last week, at Lafayette, the clerk explains to us. Last week, there was not a room to be had in the county. This week, hardly a room is full and we can have our pick. Non-smoking, top floor please. Like the lobby and lounge, the hallways are lovely as well. The entire hotel is lovely and only the small sign outside under the hotel’s name would give it away as a Holiday Inn. It is clean, nearing elegant, beautifully decorated, large and with a staff than cannot think of enough wonderful things to do for their customers. We are going up to our room. It is coming on eight o’clock. Lee calls Rachel again. Where to eat? No worries. She’ll come over and guide us. We’ll have dinner together. She arrives about a half hour later, after we have cleaned up, put some clothes away, changed and we head out to see Rachel waving fro outside of a minivan. Rachel gets into the middle seat, as do I and Lee takes the front passenger seat. After Rachel introduces her to Mom, we head out. What does Lee want to eat, Mom asks. A cheesesteak, of course. No problem. We’ll go to Giamanies. We ride some twisty-turnies and arrive to a closed deli. Closed at nearly nine on a Wednesday evening. No problem, We can go to The Widow’s Tavern. It takes us ten minutes or so down roads I could never find my way back on, through neighbourhoods and past buildings I really would like to return to in daylight to explore before we find The Widow’s Tavern. This is not a new building. It used to be a stage coach stop and an inn of quite little repute. Marvin, perhaps the innkeeper, had an affair with one of the “house ladies” and, later spurned, killed her and placed himself dangling sharply at the end of a rope. As the story continues, he is sighted now and then at the tavern, turning this, dropping that, peeking here and there. We walk in, have a seat, ask for menus, are told no food is served after eight but we are free to drink, hand back the menus, exit the opposite door and get back into the minivan. At no time did I see Marvin. All the while, we are getting the special “it’s too dark to see it but that is the ____ and it was built in ____ and now it is a ____ tour.” Lee and Mom are talking about Alek, of course. I have met mom, but Lee has not, and they seem to be getting along well enough. Rachel and I are busy texting Alek and being, more or less, pains. Lee calls him and asks if he’s OK. She does her mom thing. He does his son thing. The conversation ends. Alek texts Rachel. “She is a crazy lady.” Rachel laughs and shows it to Lee. Where to eat. Mom tells us the only place that is certainly open is Tic Toc. It’s the place all the kids go, all the adults go, everyone goes to, it is always open and always has decent food. It’s just rather run-of-the-mill. Fine. No problem. We arrive at Tic Toc about fifteen minutes later and are now two blocks from the Estonian. Tic Toc is a large diner. New Jersey has, by all accounts, more diners than any other state. We are but a few blocks from the Delaware River and Jersey and, apparently, diners spread. And the Tic Toc is huge by any standards. By diner standards, it is a behemoth. Remember the old Sports Authority commercials? “Rhode Island. It’s a small state but would make a huge sporting goods store. That’s us. Sports Authority.” I have passed though towns smaller than Tic Toc. We are seated amid the glorious smell of commingled eggs and coffee, toast and potatoes. We each have a menu. And what a menu it is. Five pages thick, front and back and, as always, whenever I am handed a too-large menu, I freeze up and become instantly un-hungry. Lee takes the menu from me, points to a page and says to just look at this one page and order from there. Excellent. She has removed the fried entrées, the sandwiches, the salads for which I am too hungry and the deserts. I order hash browns covered with vegetables, two fried eggs, a bagel and, and . . . what is this? Pierogies? It has been years since I have seen them—once or twice in a box from the freezer section (Mrs. T’s barely qualify) and it has been ten years since I have made them myself. I order potato pierogies—too many for me—and ask Rachel if she will split them with me, which she happily does. Everyone else has what they want as well. The iced teas and waters arrive and we are set. It is busy. Teens, adults, old folk, groups and clubs. Packed. And we are served as though we are the only folks here. The food is quite good for such common fare and the pierogies, large, ear-shaped, boiled and then, in this case, fried in butter quite like my grandmother would have done, are wonders. I have two and let the other two go to Rachel. We make our plans for the morning as we eat. She is afraid we’ll get lost going to her house so she will come to the hotel and we can follow her back, where we’ll all continue on in the rental car. She’ll meet us at eight. Rachel has taken the day off from tending the alpacas and we’re happy to let her take us around as she likes. One day in and around Easton, in the Poconos, with Rachel as our guide. I have a feeling there is much more here than I had anticipated. Now, well past ten, we are quite full and more than tired. We pay, despite Mom’s protest, let them drive us the two blocks as, in the dark, we do not want to chance the uphill walk on ice, and we hug good night. Through the empty lobby and up to our room. It is comfortable, quiet. We use two binder clips, we always carry in the suitcase, to clip the curtains together to keep the light out. Lee has her computer open and we take turns looking up various bits of what-to-do-ness. There is the Tibetan Buddhist Learning Center, there is the Appalachian Trail, Delaware Water Gap. There is Lee’s hand closing the computer. She is, of course, right. It is time to go to sleep if anything is to be seen though open eyes. Especially if we are to be out by eight. And I am, frankly, more than ready for sleep. Nor’easter: Being a Whirlwind Snowy Trip to Pennsylvania, New Jersey and New York City or How Van Gogh and a Herd of Alpacas helped Lee get her Groove Back. First day: Afternoon and Evening. A Long Day’s Journey into PA.
My diabolical plan has worked. When my daughter was just old enough to reach the counters, open a fridge, use a can opener, I started cooking for her less and less. She learned to get a piece of fruit, make soup, pour cereal into a bowl she used a stool to get off a top shelf. When she was adept at feeding herself, I started to feed her brother less as well. Soon, she was getting him a piece of fruit, making him a bowl of soup. Soon, he learned too. Anything they would need to live on their own, I slowly withdrew, let them take over. It worked. Twenty-three years later, I am finally going on vacation. Without them. “We’re going on vacation. School starts before we get back.” Alek is seventeen and in his second year of college. I bought tickets on Allegiant Air. Fifty-nine dollars each way. Not bad. With the tax and charges, the fee for the bag, reserved seats so my wife and I would know we’d be sitting together, the added charge so we could change our tickets if need be, the total came to over four hundred dollars. We were flying into Allentown, Pennsylvania. Arriving at what the tickets said was Allentown International Airport. The return tickets were for Lehigh Valley International Airport. Strange, I thought, for the tickets to be for two different airports. Strange, but not quite as strange as an airport with two different names. We are packing. It is eighty degrees now. It will be in the thirties, if we are lucky, when we arrive early in the evening. Packing for that requires bags that squeeze all the air out to vacuum-pack more clothes into a suitcase, the one case we paid thirty dollars to check, than we would during warm weather. We’re packing long johns and sneakers. We’ll be wearing our hiking boots, carrying our gloves, scarves and hats. I bought a messenger bag just for that purpose so I’ll know where all our things are, passports included, in case we decide to drive north to Canada. All the easier to walk through New York than having my pockets stuffed full of items. All the easier to stow under an airline seat. The tickets are out of Orlando Sanford International Airport. Don’t confuse this with Orlando International Airport. Sanford is a half-hour further away, one fifth the size and ten times easier to navigate. I figure our two airports with nearly one name is as confusing to folk up in Allentown as their one airport with two name is to us. We’ve picked Rachel up from Sanford twice before. The first time, she walked out of the plane, looked around, turned to see what was beyond the windows. This was not Orlando. Alek doesn’t want to be without the car. He doesn’t drive. He just wants it to stay in the driveway so it looks like someone is home even though the two motorbikes pretty much take care of that. No problem. It would be seventy-five dollars to leave the car at the airport anyway. No problem. We’ll take a shuttle. No shuttles. Not to Sanford. It would be one hundred and fifty dollars to get one to go there. No problem. We’ll rent a car. Thirty bucks for the car and fifty dollars to drop it off. Fifty? To drop it at a location where they rent cars will cost me fifty dollars? No problem. We’ll. We’ll… I have no idea. Craig offers to drive us. Shelley offers to drive us. As a matter of fact, Shelley and Matt will be using their trip to Sanford as an excuse to go to nearby Mount Dora, elevation one hundred and eighty-four feet, to spend time with Matt’s Grandmother and Great grandmother. And they’ll pick us up four days later, thus ending their vacation. And the trip will be fun. Shelley is a trip all on her own. A patient of ours, now a friend, I dare say, I met her at a Food Not Bombs picnic. Next thing I know, we were heading to Playalinda, she, Matt, Jazmen and Rhiannon. Then she was a patient and soon we were bartering for services. Help cleaning and filing for acupuncture and massage therapy. Everyone thought they are getting the better end of the bargain and was always a bit worried about evening it out, which is how barter should work. Any day Shelley had an appointment, any day we would see her dreaded (as in hairstyle) head walk through our door was a day Lee and I would be smiling. Now she is the office assistant and we can’t imagine the office running without her. The plane leaves at 4:20. Shelley and Matt arrive at our house at noon and the drive is two hours. The car is cramped but comfortable, the trunk nearly full before our one suitcase, one backpack and one messenger bag made their way there. At the last moment Lee decided the computer had to come, could not be left home. We had talked about getting a netbook but could not see spending the money on it for one trip. I am sure we will see this as an error in short order. She needs her email, to look up directions, do whatever it is Lee does with computers that, after these many years, I often still do not understand. We are on the road with Shelley and Matt. Lee is excited. More than I had come to expect. More than I would have understood. It is surprising, delightful, enlightening and delicious. So excited she does not even seem to mind sitting in the back as we make our way up Interstate 95 to State Road 520. We need very little leg room and this is a good thing. On the road, suddenly, Lee exclaims, nearly squeals “This is so exciting. No destination and no time to be there.” This is only the second trip we have ever taken together, by ourselves. But each trip we have taken, and there have been very few over more than the last quarter century, has been on a timetable, at the summons or control of family, attached to an event, a wedding, bar mitzvah, funeral. This one has no event, no place to be and no time to be there. Only a time by which we must be on the plane to leave. We exit State Road 520 for 417, and then, fifteen minutes later, get off and follow the signs for the airport. Exit, turn right. Next set of lights, turn right. Just under three miles later, after three signs telling us the Orlando Sanford International Airport is closer and closer, we see a large ground-level, curved the full perpendicularity from street to street, silver sign with silver letters announcing the airport to the left. It is quite hard to read and, at first glance, we think it is introducing us to the entrance of an industrial park. We are in, follow the signs, park. Shelley and Matt come in with us and, when they know we are safely where we are supposed to be and the incoming plane is arriving reasonably on time, we all hug, we give them our thanks for the trip, wish them a good visit with their family, and they are on their way to Mt. Dora. We go to check in and collect our tickets. The cattle chute awaits. Only we are not sure where to enter. We have long experience with such chutes. Many years queuing at The Rascal House and other Jewish delis – parties of one form a line here, two here, three here, four here, parties of five or more here please, mind the poles and no ducking under please – and we’re pros at following the taut ribbons as we inch closer, closer to the official at the end. This time, instead of an overstuffed pastrami sandwich on rye with half-sours and coleslaw, maybe a knish, at the end is a ticket to Allentown. But where is the entrance? As we look, a uniformed man is moving the entrance to the queue, pulling one pole, then another. Four feet this way, then that. Entrance to one side of it, then another and, after each set of movements, holding his hand up, bidding us wait. The line forms behind us as the line between the ribbons becomes shorter, the end further and further away, backs to us, now facing us, now away from us again. Finally the end is in place and we are told we can have the pleasure of waiting with the others. There is a gal behind us, a few people removed. She is not right. Deformed in a way I cannot describe, barely noticeable. I ask Lee to take a look and she does. Disturbed shen, she tells me. Her spirit is disturbed and it shows on her face. Not all physical deformity manifests from disturbed shen but all disturbed shen shows up on the body. An unbalanced cover may hide a glorious spirit but unbalanced spirit always shows up in an unbalanced body if one just looks carefully enough, is sensitive enough. Of course, this is a discussion we have had before. She has explained shen to me on various occasions. Shen, chi and jing being the three essences of the body in Chinese medicine. But, in this case, the shen was palpably disturbed, pressing on me from behind. The line moves quickly on. Our Internet-generated passes are exchanged for actual airline tickets and we are on our way to sit quietly for an hour or so before boarding. Time to get out the laptop and watch a movie. Or maybe an episode of Dead Like Me. No “Dead Like Me.” It’s on the external drive at home. Lee looks for “Dexter.” She’s never seen it and has just downloaded a few. Where are they? On the external drive. She cleaned her computer out and organized her hard drive. Nothing to watch on the computer. No problem. There is always YouTube. We try logging on. A log-in screen instantly appears and that is as far as we get. No log-in. Failed. Again and again. We try everything we know but each is met with failure. Username and password. Guest guest, log-in. Airport name. All the usual public wifi log-in methods. Nothing. Time for a walk. We leave our things at the chairs. No worries. While this may not seem prudent to many, we never do worry about our things and they are always there when we return. Computers in airports. Purses on carseats. No worries. And time for a walk there was. An hour or so and we walk the airport three times back and forth, seeing the same sights again and again noticing how much, how little, changes in fifteen minutes. Back to our seats. We pull out an MP3 player. 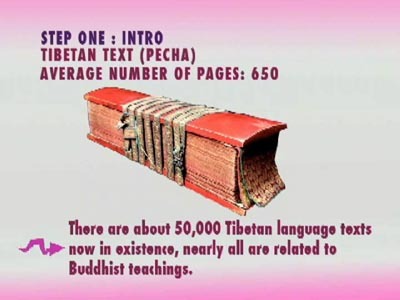 I have a video, “The Blue Buddha: Lost Secrets of Tibetan Medicine,” we had been wanting to watch and, being a narrative the sound quality was such we could easily share headphones, Lee gets the right and I get the left. I had meant to pick up a headphone splitter but that trip to Radio Shack simply never happened. As we get ready to listen, a portly woman with a badge walks up to us and asks if we’d mind taking a survey and hands us each a form about a third the size of an 8.5 x 11 sheet of paper. It has questions and check-boxes. I didn’t even ask how we’d know the difference between attempting to log-in if it were over the twenty person cut-off and simply not knowing if we were logging-in correctly. “Yes, it would be nice if there was a sign.” She agrees. Good for us. We fill out the surveys. Handing them back, a look at the badge tells me she is the airport manager. It would be nice. But consternation and the surveys have taken a bit more than a quarter hour and it is quite near time to board. We walk the forty or fifty feet to the door and wait in line. It isn’t long before we are seated, by sections, and we’re putting our things in the overhead compartment. Our seats are the two inside seats, row 32 of 45. Lee next to the window and me in the center seat. I put my hat and messenger bag on the aisle seat. Within the bag is my wallet, other documents, maps, MP3 player, scarf and gloves. We sit and wait. We wait. I fumble with my bag and take out the MP3 player, open my earphone case and unwrap the earbuds. Tiny and white, they shut out all outside sound. I use them with my Nintendo DS when I study Japanese or listen to my MP3 player in public. I rarely do either in public. I feel it impolite to shut the outside world out. Or, at least, to appear as though I am. I’d rather just do so without appliances. Even when walking I use open earphones that allow the outside world in. All the better for not getting hit by cars. Around me, people are fumbling with bags, removing other’s luggage, rearranging backpacks belonging to people they have never met. Placing bags in overheads far behind them over as yet empty seats. Arguments break out sporadically, grow, arc, die. She does nothing about the arguments. Moves no bags. Stops no rearrangement. She is part stewardess and part superego. Part attendant and part schoolmarm. She is here to facilitate travel and, perhaps, for our safety, but certainly not for our comfort. And if we don’t take off because of our own shenanigans, she gets paid all the same. She is tapping her foot. She turns to go and ducks into a row of seats to allow a woman to pass. This woman, to really pass in comfort, would need a row of chairs removed as well. I lean over to Lee. She checks her ticket. Looks around, down to me. Waddles forward, targets her spot, stands next to me. I move my hat and messenger bag, place them below the seat in front of me. She sits in her seat. She also sits in my seat. She also sits in the aisle. I move closer to Lee. The flight attendant is closing up shop and readying for takeoff. She has told several people to find space for their bags or to hand them to her to have them checked. She has removed one bag that was obviously too large for the overhead compartment when a passenger was removing several other passenger’s bags to mash his into place. She’s asking us to take seats. She’s tapping her foot again. She looks in my direction. Walks over. “Ma’am, I believe there is a seat you would be more comfortable in over here.” Bless her. She moves her to a pair of empty seats a few rows forward. I can move my right arm again. “You need mountain-time, don’t you?” Lee asks in a rhetorical whisper. “How far are the Poconos?” Not far from Allentown. Not far at all. The engines whine louder, higher. We are told to shut our electronics off. I put my earphones in. The hope is I can pay attention to a lecture by Watts while we are taking off. It is a hope. I turn the player on. “Please remove your headphones for takeoff.” She is talking to me. I nod. I pull the earbud from my left ear. When she walks by again, I tilt my head, still listening to Watts in my right. The plane is moving. My plan becomes quite academic as the talking in my right ear falls into the far background. I want to yell for everyone to peddle. Seriously, I do not believe planes can get of the ground regardless of my understanding of the physical laws and properties involved. Peddle. Peddle. I am gripping the armrest. Shaking. Rocking. Tilting. Up. Up, Faster. Climbing. Losing, gaining and losing my stomach. This is not good for my nervous system at all. Not at all. I grab Lee’s knee and fear I have left a bruise. The plane levels out and I begin to breathe more calmly. More evenly. I am exhausted. Spent. Wrung out. We have been in the air fewer than five minutes. Drink carts go by. I take nothing and shut off my MP3 player, put Watts away with the earbuds so I can hear Lee. Looking through the papers in the seat-pocket in front of me, she and I spend a few minutes laughing at the Allegiant Air goodies for sale. A flight attendant walks into the cabin and, holding the microphone, tells us there is to be a raffle. While another attendant walks up and down the aisle taking money, she explains how it works. A fifty-fifty raffle. Some tickets win prizes. What prizes? The same die-cast planes, hats, can cozies, Mickey keychains and junior pilot wingpins we had just been laughing at with such contempt. Five tickets for five dollars. Ten tickets for eight dollars. Twenty tickets for I stopped listening. This seems so absurd, I can only laugh as it moves forward. The tickets are going into a trashbag. Why not a barf bag? I go to offer mine but Lee stays my arm. As the attendant comes through with the tickets and bag, people paying less attention than even I am are putting their plates and cups into the bag along with the tickets. Reminded again, over the speakers, the trashbag will be coming around later, this is the ticket bag. The next person deposits her crackers. The attendant with the mic lambastes us for not buying enough tickets. Other flights had nearly one hundred percent participation. Why not us? Do we not understand a fifty-fifty raffle? A few more tickets sell. Lee is reading and I put my earphones back in, resume listening to my lectures. She comes by and, pretending my ears are hermetically sealed, toss in Lee’s cup and can. On and on she talks, berates until the tickets are pulled, one by one. With each kitsch distributed, she asks us to cheer. “Cheer like you won the lottery.” Why? To impress the people outside the plane listening? The fifty-fifty won (one hundred and forty-five dollars) and finally it is over. The window is becoming more reflective. I can see more inside behind me than outside as we travel north and the sky becomes darker, darker. The woman in front of me has a book full of diagrams. My imagination takes over without so much as a simple “May I?” and the diagrams detail methods of Satanic worship. They are devices of torture. I stare harder and harder between the seats until, finally, it clicks – they are diagrams for creative ways to make one’s bed. Staring past Lee, the window supplies me with an overlay for the sky behind it. Courtesy of Google Maps, it details what I am looking at – what cities, what geologic features, what main roads. Touching the window, I call up information on the map such as population, elevation, sites, factoids and ephemera. None of it is correct, of course, because it is all in my head. The cart comes back around for the refuse, cans, cellophanes, cups, paper plates. The light comes on to tell us to buckle the seatbelt I never unbuckled. The plane begins to descend. I press the floor heavily feeling for brakes, hurt my fingers on the armrest, let slip an audible series of heavy panting and a small yelp as the plane touches the ground. We have landed. Off the plane. In the terminal at Allentown. I am immediately struck that the people look normal. Not normal as in I expected they’d look different than those back home but look, surprisingly, the same. No. They look different than the people at home and appear in a way my mind registers as normal. These people look real. They look right. We grab our luggage and rent our car. Not the subcompact I had requested but an “upgrade” to a car I don’t want. A Pontiac G6. Too big, too low, too fast and too fancy. We walk outside to get it and, before we even get to the door, I wish I had gotten out my gloves. I toss the scarf around my neck. Lee is smiling. It’s cold. It is blissfully cold.